As we approach 2015’s first solar eclipse, equinox and lunar eclipse, on March 20, March 21 and April 4 respectively (this lunar eclipse being the third in a tetrad of Blood Moons during 2014-15) followed by Easter on April 5, I’ll address ‘centering in the Heart’ from the perspective of angles of convergence, axial tilt, and the Earth’s polar magnetic shifts in relation to our own internal axis, magnetic fields, balance of the elements, and how to remain steady through the flux. If you are journeying consciously with the Shift, you’ve probably already noticed the intensifying effect when your focus into an energy, situation or imbalance – in relationships, work places, families etc – isn’t centered from your inner heart, and other moments of crystal clarity and breakthrough ‘aha’s’ when your focus is right in your Core, aligned with Source. The feeling of the difference between inner heart-directed focus and mental-emotional push/pulls of the personality is becoming ever clearer, individually and collectively. 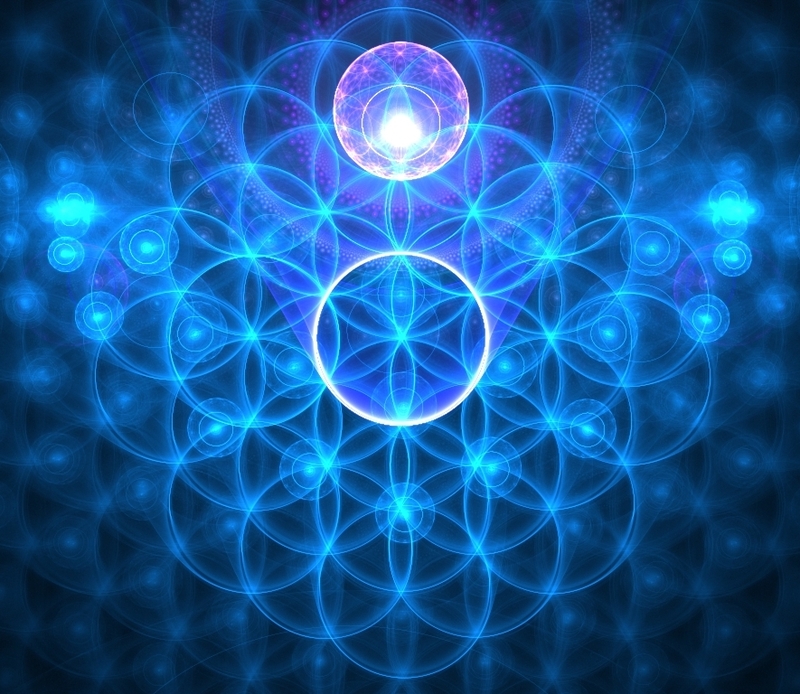 For unity and peace within, keep affirming (firming) your centre – your central axis – your own torus, within the currents of the Shift, the macro ‘angle’ of the 3D axis and the 5D axis that are converging on a planetary scale, and in us. Schematic diagram of a pulsar, Wikipedia. We’ll return to the lighthouse analogy in relation to ‘seeing’ our galactic family and their ships, but first let’s look at the angles of a pulsar’s two axes. The white loops circling the star represent its magnetic field, its torus, which everything from an atom to a galaxy has, including us. The vertical green line represents the star’s axis of rotation, and the blue beams represent the axis of its light beam. The difference between those two axes is akin to the difference between geographic north/south and the magnetic north/south axis of the Earth – as the poles are shifting, on their way to reversing. 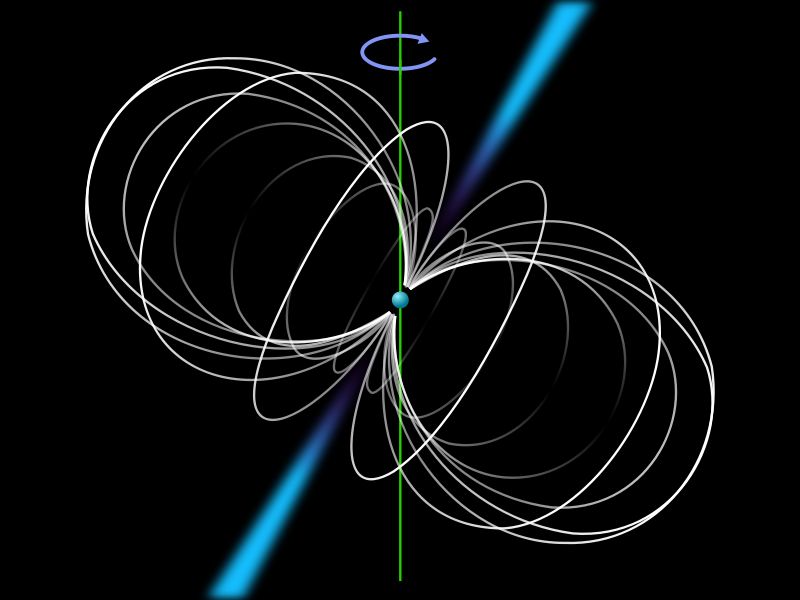 The pulsar shows us the axis of rotation, and the axis of light, which is aligned through the centre of the star’s torus, the ‘core flow’ of light through its field. Similarly, the Earth’s geographic polar axis and its magnetic axis aren’t only not aligned as one, they are slipping further apart, leading to a full reversal. 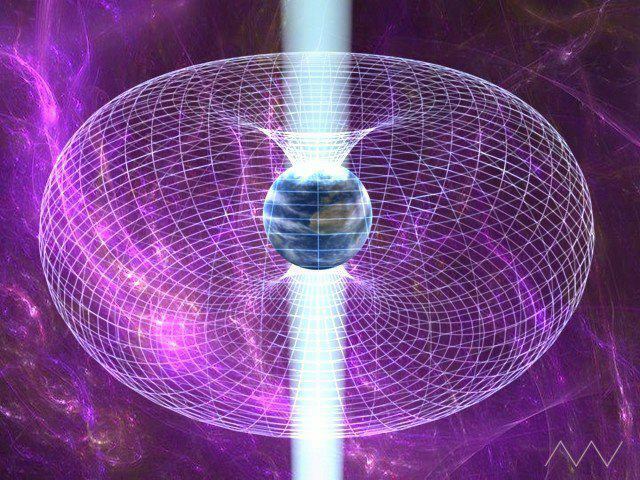 So currently, the ‘old poles’ are no longer aligned with the central axis of the planet’s torus field. 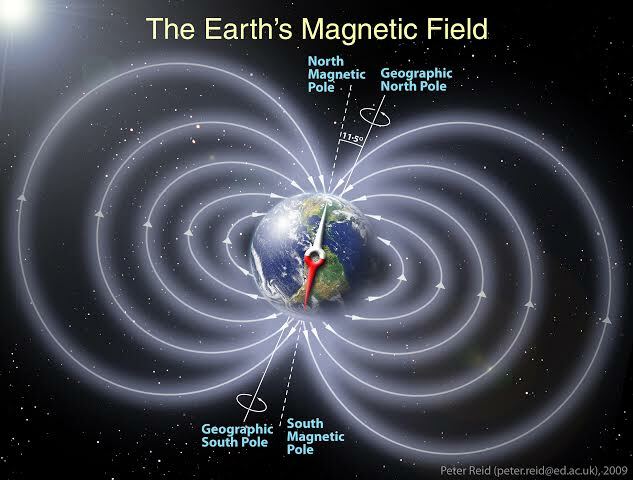 Below is a map of what is happening to the Earth’s magnetics during a pole shift. In a reversal, the magnetic axis fragments completely before the ‘flip’. 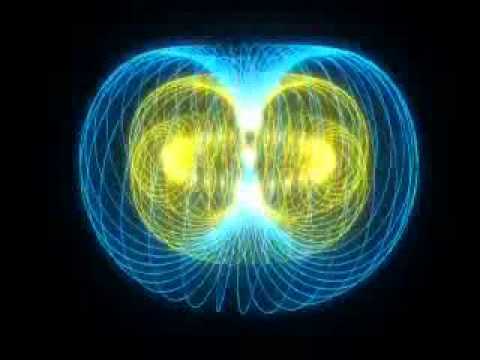 This scatter of magnetic threads mirrors the energetic lines of the old 3D template as we have known it, in full collapse, before a reorientation which, because of the faster light frequencies that have been steadily flowing into Gaia’s new heart grid, is a key stage of the planet’s dimensional Shift. Now feel the flows of these two axes through your own heart centre/ heart star and torus field. If you’re shifting with the ascension energies, the light will keep flowing straight through your core and its radiating torus. Ego-mind will keep focusing back to the ‘old north-south’ axis, because that’s the reality it believes in. When your being is focused to old north-south (the old 3D template), confluence with the Light axis is lost or dimmed, until your awareness returns (retunes) to your heart centre, and focuses from there again, which realigns you to the higher flows. Well-being, harmony, peace, love. Using the symbolism of the pulsar, and our Earth’s shifting magnetic axis, feel how ‘walking in both words’ in balance, viewing and acting as a multi-dimensional being in a three dimensional strata, means BEing in your centre, relaxing there, and allowing the higher frequencies to flow through your heart and radiate outward. It means SEEing through those frequencies of unity with love, touching the ‘old north-south’ as needed, with a light touch, rather than clinging on to constructs that serve the 3D view. This includes linear/planar concepts such as timelines, whether ‘positive’ or ‘negative’ (which is inherently dualistic). The heart-knowing is holographic, not linear, and converges energies from ‘beyond the box’, into the zero point, and radiates them through the box, until it dissolves. See this post for a short overview of dimensions 1-6 and how we ‘see’ through them. Astrology, as it has been understood in 3D, delineates the ego personality through positive and negative energy attributes of planets and stars, and ties them to angles/aspects and transits between those planetary and stellar consciousnesses as they are interpreted through duality, an analysis that is relevant and precise in charting the personality and its movement through time. Astrology projects personal/collective ‘progressions’ forward through time, through the lens of those characteristics. Without going too deeply into this construct right now, can you feel how anchoring into a higher frequency state requires holographic rather than linear envisioning? 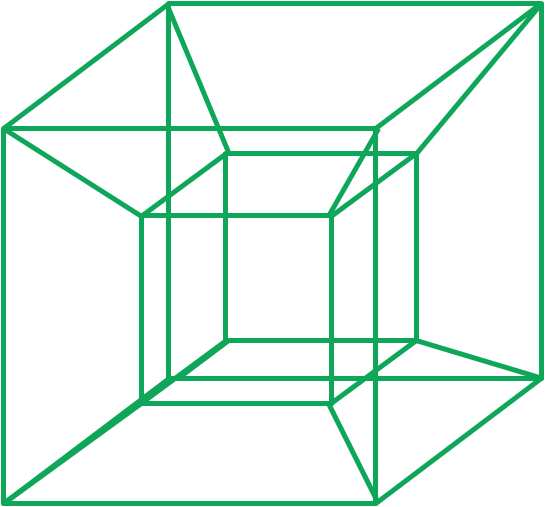 It’s the difference between thinking, or viewing from, ‘inside the 3D box’ (geocentric/egocentric/spiritual egocentric) and viewing through the box, from the unifying/unified SEEing of 4D+, through the transparent, open ‘hypercube’ – because unconditional love sees/feels from all ‘sides’ simultaneously – meaning ‘sides’ dissolve into Oneness viewing. This is how higher dimensional beings ‘see’…and we are here anchoring that seeing in ourselves and on Earth again. From the Heart and its universal omni-view. As you travel with the Earth’s magnetic flux through this stage, what is your awareness involved with, at any given moment? Are you trying to sort out lines from the ever-moving skein? Attempting to control the flux, or at least your part in it (and if so, what emotional or mental states focus you into it)? Are you centered, anchored in your core, viewing and feeling all from that point of pure Essence, touching lightly on the lines without gripping onto them for ‘survival’? Are you feeling the grace of ‘being in the world, with love rather than of the world’? When your centre is open, allowing the flow of Love, you are a world, a star, in balance. If you find it hard to love and forgive yourself or others, or to trust the goodness of Source, if your mind and emotions feel confused, lost in the whirl of the flux, blurring deep, high light with lesser lights, masquerade from revelation, then wrap yourself in the purple light of mercy, of compassion. From my Higher Self: “Breathe the purple into your heart, let its benevolence-light fill your field. 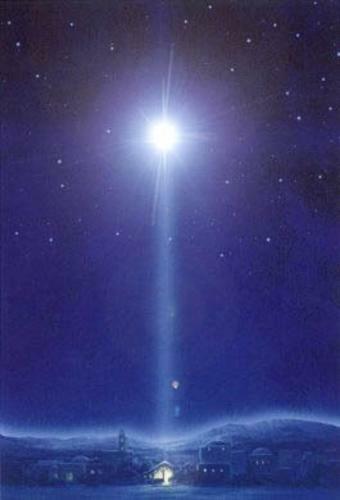 Allow Mother’s white Ascension light to pillar through your centre. Let it be both anchor and compass. Feel it encompass your BEing, with joy. Be One with her and bring through your rebirth. One comes to the Father through the Son. One comes to the Son through the Mother. All is in Oneness, tri-angle of the Heart. The Archer holds the Bow; through it flies the Arrow. Do not let your heart be afraid of the arrow of Love, cradled through the Mother’s bow. It is the Flowering and Fruiting of Life. Flower of Life, by Capstoned, deviantart. 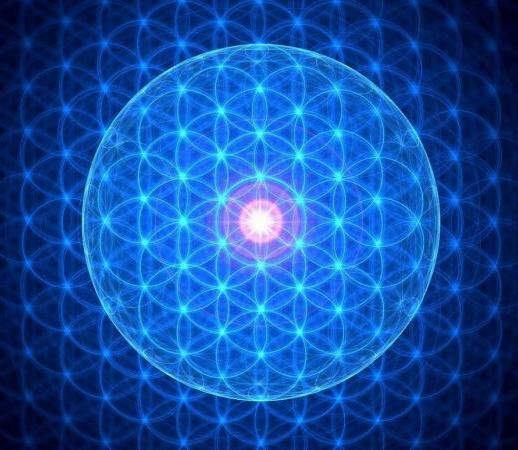 Flower of Life, source: Az abszolutum mtafizika. From the wisdom and beauty of the higher frequencies of the planets and stars, beyond ‘character traits’, a being simply Loves itself and All. 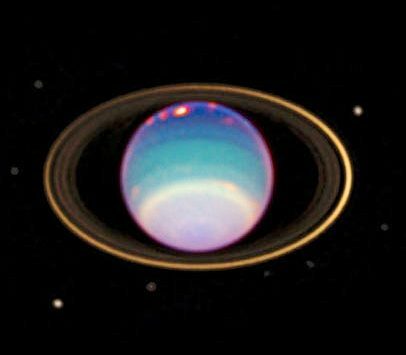 The picture below, of Uranus in its golden rings, shows into 3D view, its torus wrapped in golden light. 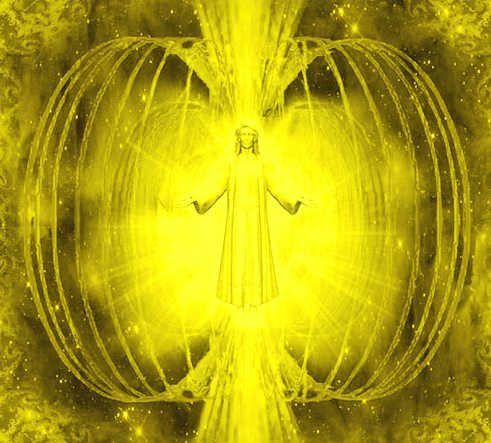 In higher frequencies, gold preserves its field, it tone, just as we know how to maintain and self-love the integrity of our light-fields, the containers of higher frequencies we are becoming, wrapped in our own Golden Apple. As in the macro, so in the micro…. Feel this in relation to visibility of galactic ships sitting in the higher frequencies of the UV bands. 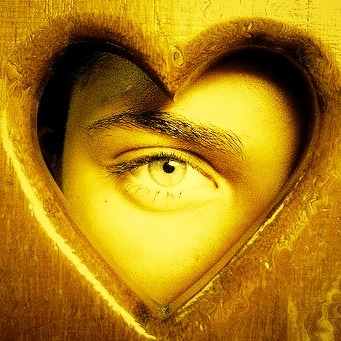 When our focus meets their focus, in Love, there is a connection made, in the middle, and they become visible to us….because our SEEing from our centre, inner heart, is aligned to their beam. Actually, they are ‘beaming’ continuously. It is our focus that allows us to see the beam, and heart blockages or mental distractions/interference to our focus that renders their beam invisible. I have seen ships suddenly appear to ‘pulse’ with light, and have read of this from other witness accounts. Yes, the ships may be ‘powering up’ at those moments, but feel how that brilliance of light is seen by us when our intent, our joy, our love, is most focused toward them. Like the rays of a pulsar, we see the ‘flash’ of the lighthouse. But of course, the lighthouse, in this case, is always alight. Love = L-UV. ❤ I’ll end this post with some photos I took of the almost-full Moon, with some friends in Orb form, on March 5, 2015. 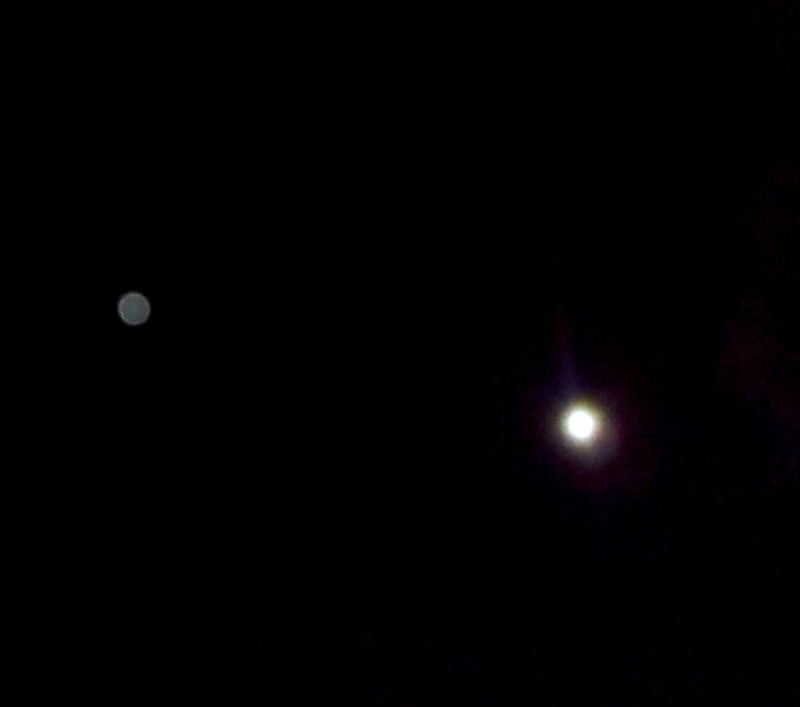 Photo: March 5, 2015, Sirian Blue Lodge orb appears left of the Moon. 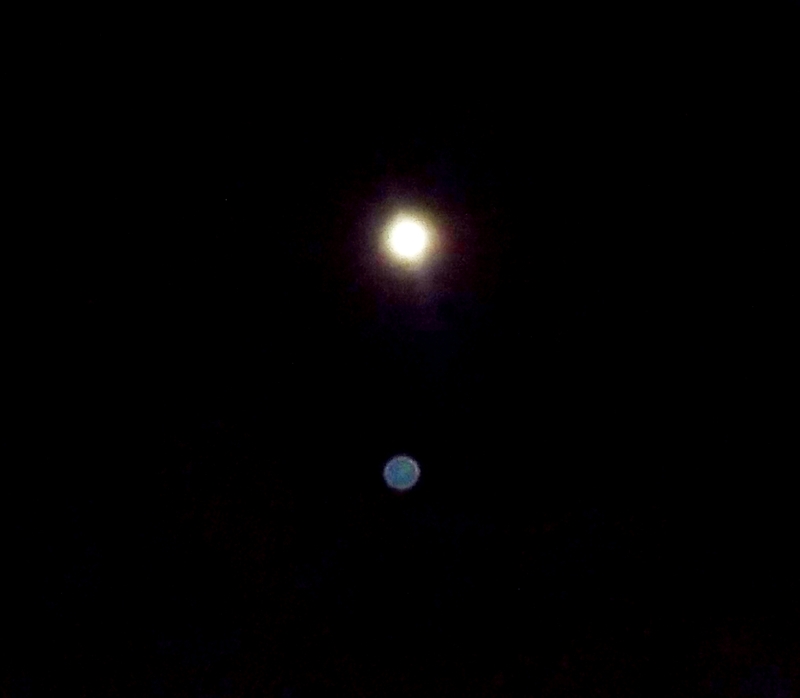 Sirian Blue orb under Moon. 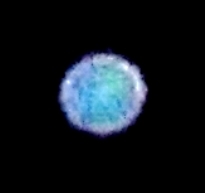 Sirian Blue orb, close-up, with feline face looking through it. This entry was posted in Arnap/Ashura, Ascension, Dimensions, Gaia, Intergalactic Confederation, Orbs, Sirians and tagged aliens, angels, archangels, ascension, ETs, Galactic Federation, Golden Apple, Intergalactic Confederation, leonine beings, orbs, pulsars, Sirius, star family, torus, UFOs by Joanna. Bookmark the permalink.